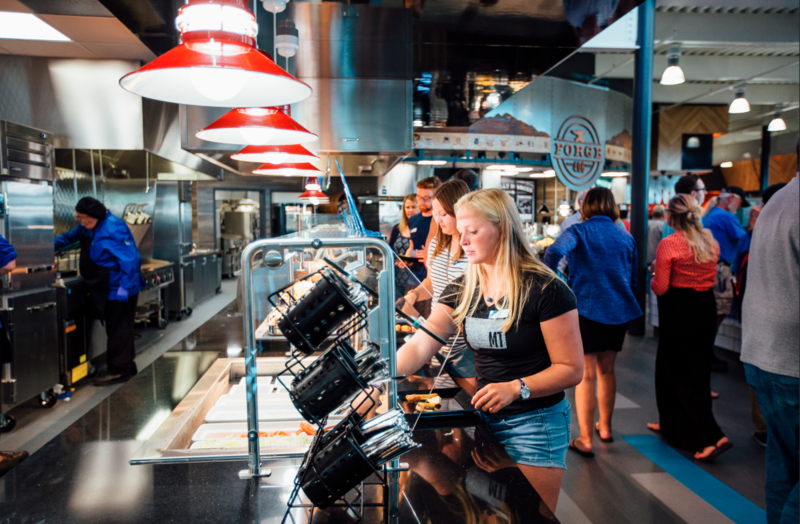 If you purchase food on the Montana State University campus in Bozeman, chances are you’re consuming something that includes at least one ingredient that was grown or raised in the state. That’s because the MSU Culinary Services team is committed to sourcing local foods as often as possible. That’s been the case since 2005 when the university launched its Farm to Campus initiative, formerly known as Montana Made. MSU currently purchases meat, vegetables, fruits and other ingredients from more than 100 Montana producers – via distributors as well as directly from vendors – and the school spends approximately $2 million annually on Montana-sourced goods, which is about a quarter of MSU’s total food purchases. 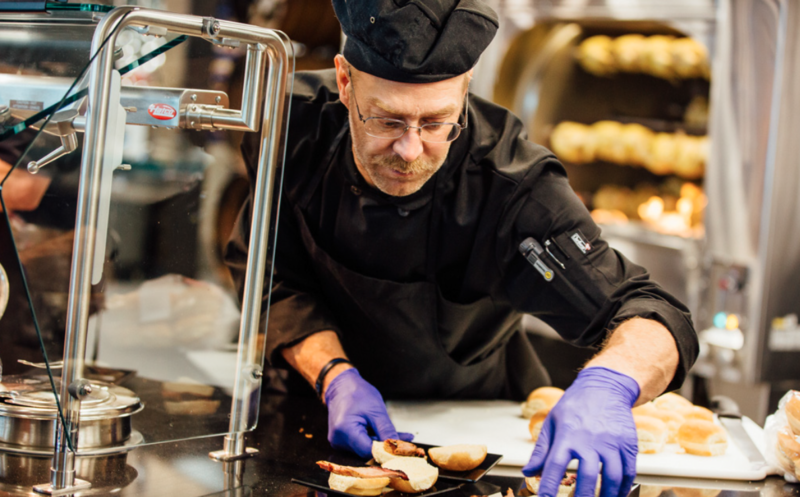 To date, the MSU Culinary Services team – winner of the Silver Award for Sustainability for Procurement Practices in 2018, an honor given at the National Association of College and University Food Services convention – has sourced ingredients such as safflower oil from The Oil Barn in Big Sandy, kale from Strike Farms certified organic farm in Bozeman and lentils from Timeless Natural Food in Ulm. MSU has made a point to source its meat locally, too, with all of the lamb served in the dining halls purchased from Montana Highland Lamb near Whitehall and MSU’s 13,750-acre Red Bluff Research Ranch near Norris. 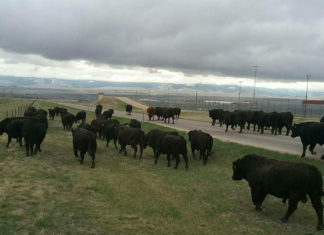 The ranch comprises about 900 head of sheep and 170 head of cattle and offers animal science students hands-on experience. Participants of the Steer-A-Year program, Cole Ryan, Sarah Maninger and Michaela Blevins. The university also serves pork, including bacon, from 4-H hogs bought at county fair livestock auctions. Additionally, the MSU Culinary Services team partners with the school’s College of Agriculture to purchase student-raised beef through the MSU Steer-A-Year program. 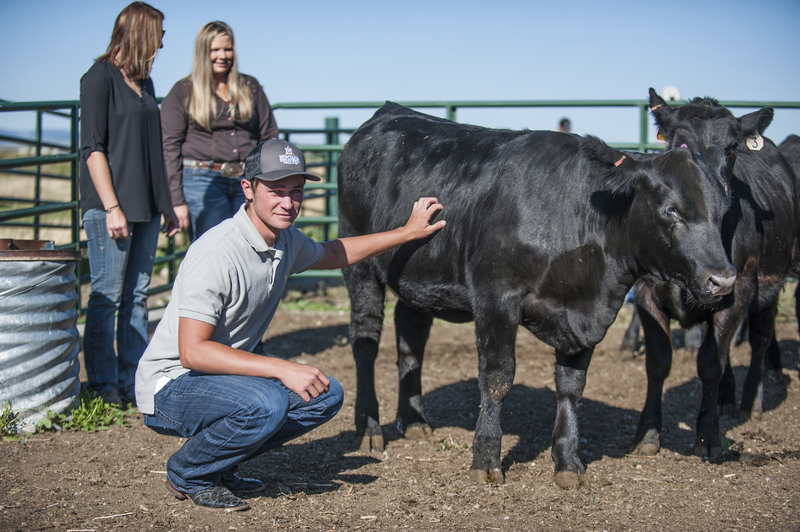 The program’s approximately 30 steers – all donated by ranchers from across the state – are kept on MSU’s Bozeman Agricultural Research and Teaching (BART) Farm, located about half a mile west of campus, and students take turns caring for the cattle daily. Montana Correctional Enterprises give inmates new beginnings and second chances through agriculture.